Singapore headquartered, taxi hailing app, Grab, is opening up new development centers in Bangalore in India, and Ho Chi Minh City in Vietnam. Grab is one of the leading ride hailing apps in Southeast Asia and a prominent Uber challenger in the region. Grab is only looking to tap into the vast talent pool in India, and does not have any plans to start its fleet operations in the country as of now. That is understandably so, considering the fierce and money bleeding price battle two competitors — Ola and Uber — are fighting in the country. The duo, have pushed radio taxi players like Easy Cabs and Meru Cabs to the fringes. That the price battle has led to unhappy drivers and frequent strikes in the country is a different story altogether. The expansion will support the taxi-hailing app’s rapidly growing multi-modal transport platform and proprietary payments system across Southeast Asia, which includes the launch of three new transport services in the last quarter — GrabShare, GrabCoach and GrabShuttle — as well as the roll-out of GrabRewards, a customer loyalty program. With the latest additions, Grab has taken the count of its R&D locations to six. Other centers are located in Singapore, Beijing, Seattle and Jakarta. The Jakarta center was announced last month. The company plans to add more than 800 new R&D jobs in the next two years across the six R&D centers. The new center in India will house up to 200 engineers, who will focus on developing new payments technologies for GrabPay, Grab’s digital payments platform, that will deepen financial inclusion and increase access to mobile payments across Southeast Asia. Grab has made two early hires, Raghuram Trikutam, the Head of Engineering, Mobile Payments and Ruchika Sharma , Head of Human Resources. 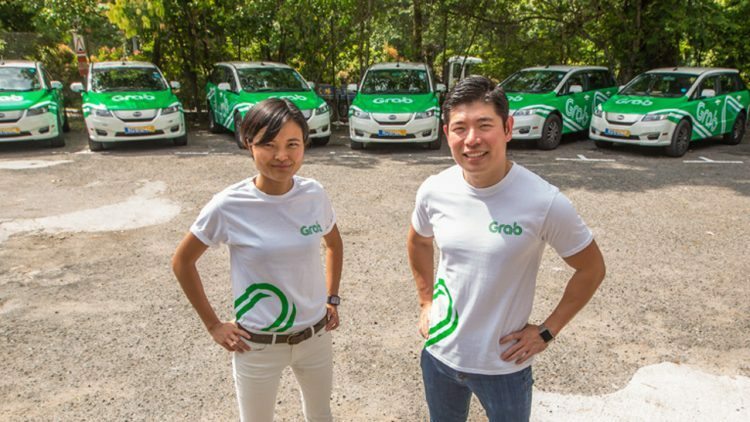 In Jakarta, Grab wants to hire 150 people, while in Vietnam it will initially start with a team of 25. According to Grab, it operates in 39 cities across six countries, with over 710,000 drivers in its network. It says that its has had over 36 million mobile downloads of the Grab app, and controls 95% market share of third-party taxi-hailing apps and more than 50% market share in private cars in the markets in which it operates. Meanwhile, the company also announced that its Singapore office will be moving to a larger office space of almost 100,000 square feet in Singapore’s Central Business District. Grab’s Seattle office too is being expanded to a larger office of more than 6,500 square feet at Columbia Center, located in Seattle’s Central Business District. The new office is expected to provide space for 60 engineers. The Seattle team is led by Microsoft veteran Raman Narayanan. The team has developed the technology behind one of the company’s key products, GrabShare, Grab’s private carpooling service, as well as enhancements around user trust and data management. PreviousMS Teams goes live on Office 365; Can it challenge Slack?